Chateau La Lagune 2016 is an exceptional vintage! Classified 3rd Growth from the Haut-Medoc appellation, Chateau La Lagune is the product of a turbulent history. In the 1960s, its fate changed thanks to modernization of its infrastructure. Caroline Frey is now the manager of the property, continuously striving to combine the chateau’s historical know-how and the magnificent terroir of the Haut-Medoc. The first traces of the estate date back to the 16th century, when the Charterhouse was built. The Charterhouse was the foundation for La Lagune, and became a vineyard at the end of the 18th century. 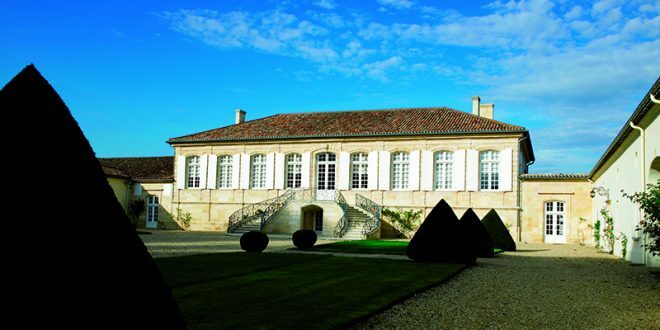 History says that Baron Victor Louis is the architect of the country house, which was done in the Carthusian Medoc style. The Seguineau family owned the property from the 18th century until 1819. La Lagune was sold to the Piston family in 1821. Under the direction of the Piston family, the chateau earned the title of Classified 3rd Growth. The Seze family purchased Chateau La Lagune in 1898, but due to economic difficulties and the war, the estate disappeared from existence. Rene Chayoux, President of Ayala Champagne house, took over the chateau in 1962. He modernised the infrastructure, the winemaking techniques and increased the vineyards production. Ayala was purchased by Jean-Jacques Frey in 1999. Since 2004, Caroline Frey – Jean-Jacques’ daughter and oenologist- took the reins of the domain with her well-equipped team: a great revival has been underway since. Chateau La Lagune is a Classified 3rd Growth from the Haut–Medoc region. The vineyard extends over 80 hectares. The soil is composed of gravel from Garonne, allowing the grapes to reach maturity under special conditions. The pebbles reflect sunlight, which provides equal amounts of sunlight for all the grapes. The varieties planted are 60% Cabernet Sauvignon, 30% Merlot, and 10% Petit Verdot. These grapes have been recognized for their impeccable balance, finesse, and elegance. 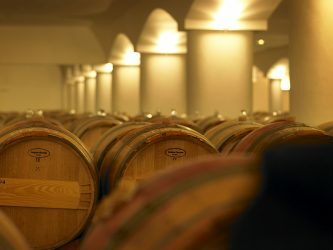 At Chateau La Lagune, the quest for excellence led the owners to produce several cuvees. The Chateau also produces “Moulin de la Lagune” and “Mademoiselle L”. Caroline Frey has done everything to put in place environmentally friendly viticulture that is based on techniques from organic and biodynamic agriculture. It not only preserves the terroir and the vineyard, but the health of the team of vine growers as well. The process to convert 100% to organic farming was began in 2013 and was achieved with the 2016 vintage. Respecting nature, the adapted approach to each parcel, allowed the pure quality of the wine to show. The wine is aged in barrels (50% are new). Frey is dedicated to searching for the ever-changing balance between quality and respect for the environment. Chateau La Lagune has recently built a state of the art vat. This vat allows them to produce a powerfully fresh, fruity wine with a supple and refined texture; respecting nature and the property’s style.